I love ThinkGeek. I really do. If I could fill me entire wardrobe with stuff from ThinkGeek, you bet I would. This time around they sent me some pieces from their Gear Up collection, a partnership with Marvel to create an entire line based around the Marvel Cinematic Universe. Check it out after the jump. 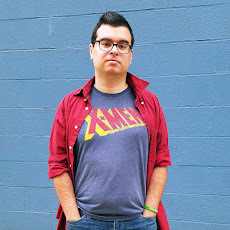 Disclaimer: I was sent pieces from the Marvel x ThinkGeek Gear Up Collection courtesy of ThinkGeek. Opinions are my own. First thing I got is the Marvel Stripe T-Shirt. I'll admit this is pretty basic and the line has a lot of cooler stuff. But if you know me you know I love geeky t-shirts and simple ones like this are right up my alley. Plus it's made of a super soft and comfortable material (50% cotton / 50% polyester) and the logo is pretty slick. Next is the Avengers Army Jacket, but either I don't know what an "Army" jacket is or ThinkGeek doesn't know what a jacket is. It's more of a button down shirt and provides no real warmth you'd expect from something called a "jacket." But while this won't be keeping me toasty in the winter, it does look pretty awesome. There's some really nice embroidery on the front and one of the sleeves, and a huge logo printed across the back. 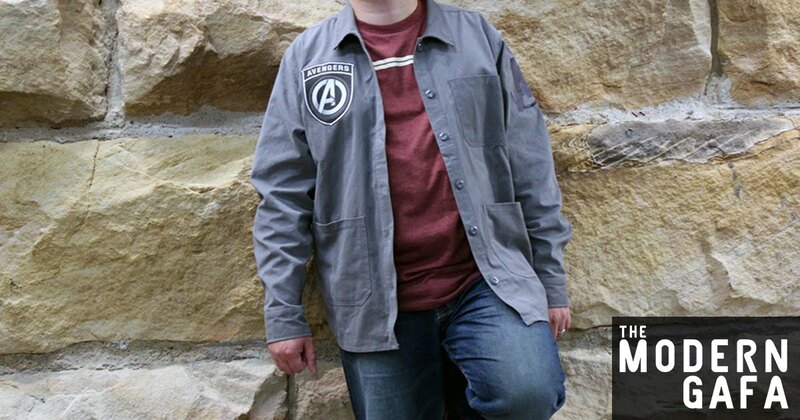 While the Avengers Army Jacket may have buttons, you really get the full effect when leaving it open and showing off your Avengers shirt underneath. I think it works exceptionally well with shirts that feature classic comic book covers. I've had the jacket for a while but put off posting this hoping I could track down some more. I used to have a lot, but they seem to have disappeared on me. Although to be fair, if you asked me waht kind of superhero shirts I liked even a couple months ago I would've said I preferred more simple logos instead of flashier ones like the full comic book cover ones. But opinions change with time. The jacket still works well with simple logos though. You can check out the entire Marvel X ThinkGeek Gear Up Collection here. In addition to the items I've shown off here, the collection also includes a variety of hoodies, dresses, and more inspired by more specific sides of the Marvel universe including Thor, Spider-Man, and Guardians of the Galaxy. Some of these items will definitely make it onto my holiday gift guide for this year. What size did they send you? These were both Larges, which at the time was probably too big on me. I was kind of in between a medium and a large. Nice! I stumbled upon your site looking for this shirt. Good review. I'll be back for sure. I ordered one the other day from think geek and went with a medium. Can't wait for it to arrive. Just in time for April 27th!